CouRage met the boy in a random duos match last night. Fortnite: Battle Royale streamer Jack “CouRage” Dunlop helped a young YouTube streamer gain almost 2,000 subscribers last night after livestreaming a random duos match with him. CouRage went to the young boy’s stream and saw the boy crying, apparently out of excitement for having played with him and for having gained that many subscribers. Played random duos on an alternate account -Halfway through my duo realizes who I am and freaks out -We win the game and he gains almost 2,000 subscribers on YT But this…this is arguably my favorite moment ever on stream. Raw emotion from him and his mom. CouRage was praised by the Fortnite community and fellow streamers for his action. 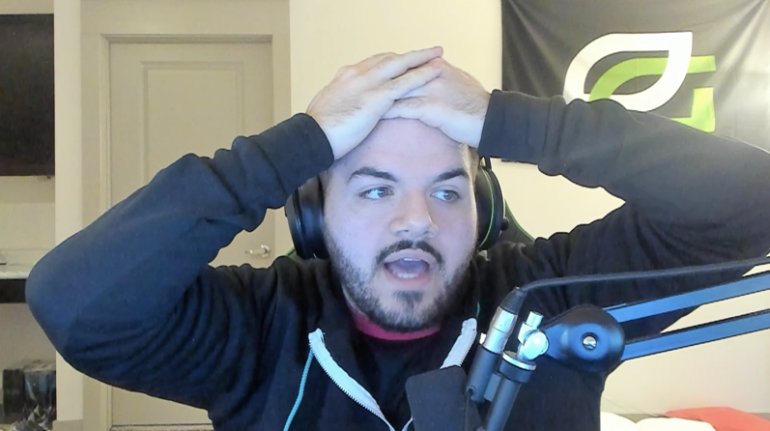 Oscar Steel later published the full-length VOD of his livestream with CouRage on his channel and titled it “The day CouRageJD changed my life.” The young YouTuber now has 1,976 subscribers at the time of writing, and he claims to have over 275 wins in Fortnite. This is yet another action by big streamers to temporarily increase the popularity of small and talented streamers. Other big players who have recently helped boost the popularity of young or little-known streamers were Michael “shroud” Grzesiek, when he donated $250 to a guitarist for a solo he performed, and when Mizkif helped deaf 13-year-old girl Fortnite streamer Ewokttv get hundreds of Twitch subscribers.